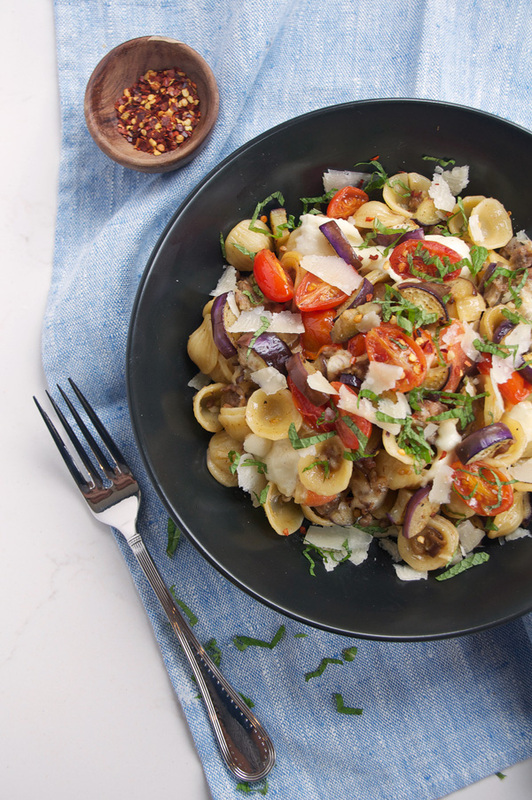 In this delicious one-pot orecchiette pasta dish, I have paired orecchiette with tomatoes, eggplant, Italian sausage, mozzarella and mint. Totally delicious and satisfying. 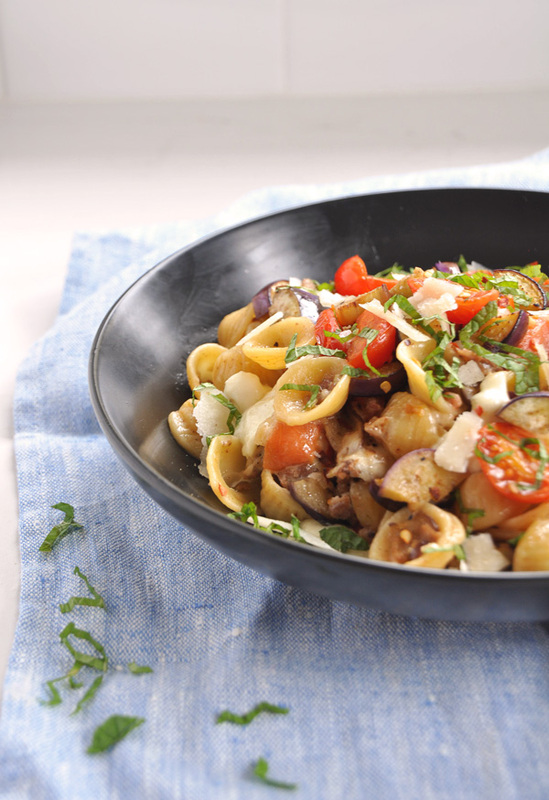 If you can’t find Japanese eggplant, swap for a regular eggplant. The same goes for the golden balsamic. I prefer golden balsamic over regular balsamic because it not as overpowering, but this is totally your preference, as well as what you have in your house.